Pre Order Prize Preview - Times Three! We're almost done with the prizes, and I'm going to be putting several together today. Possibly tomorrow too :-) Very soon, we'll be back to our normal lives, posting informative things. We're looking forward to that too. 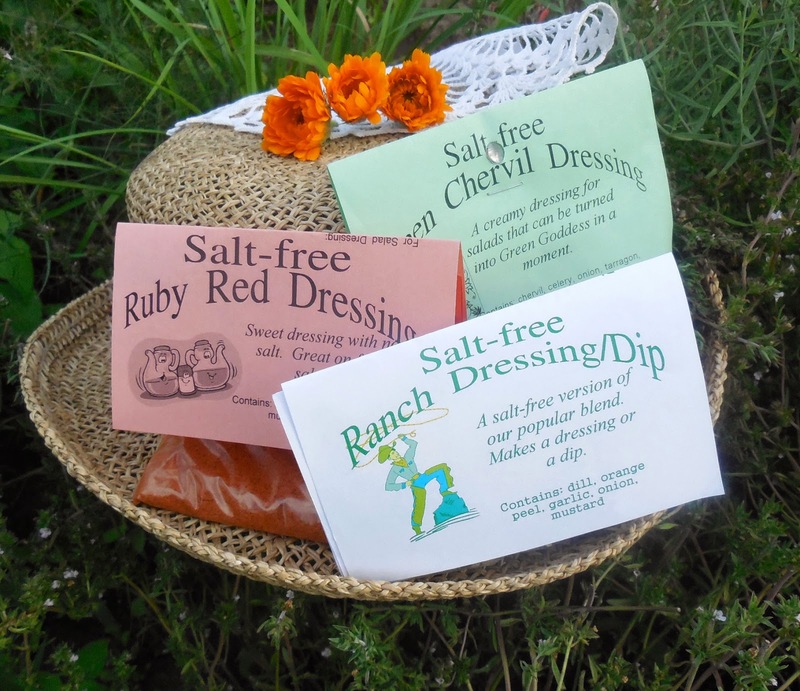 A set of our new Salt-free dressing mixes. 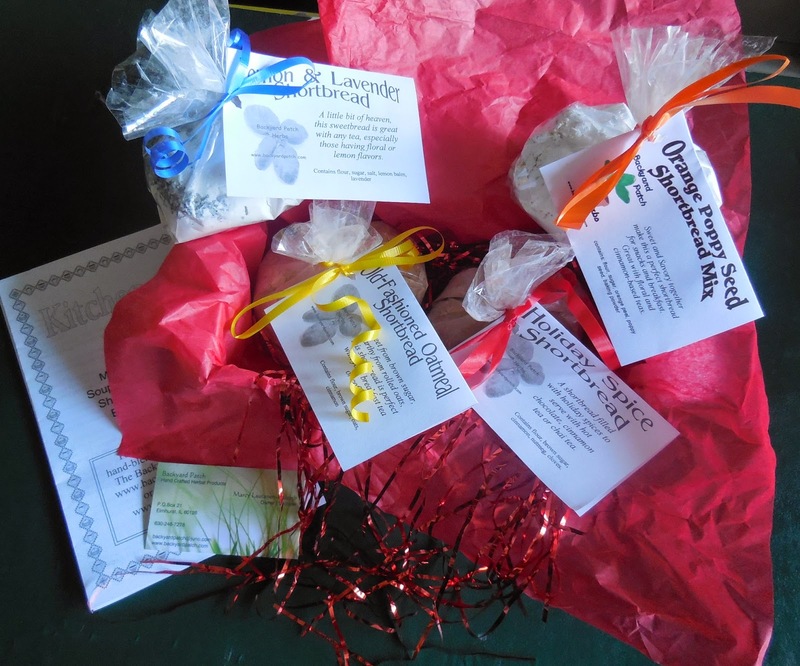 We have 5 different mixes we will package as a set with recipes for additional uses. 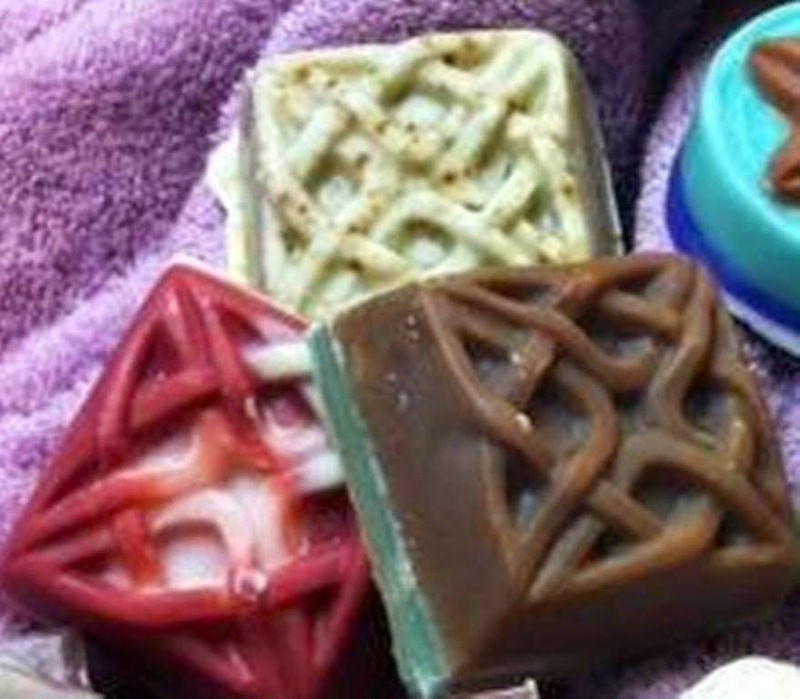 3 Celtic Knot molded soaps. One of a kind, because I pour them at the end of batches, so they are usually layered. You can't order these - we made them just for the drawing. 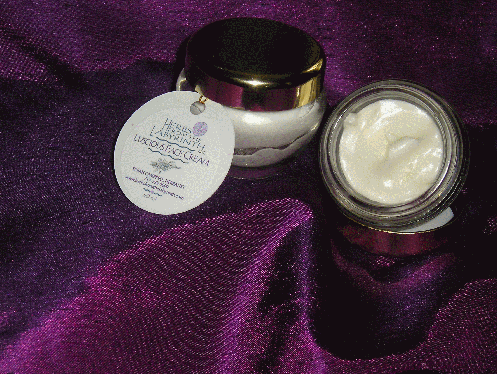 Quite possibly the most deeply nourishing and hydrating cream your skin will ever experience! Our most popular item, this is a fabulous night and day moisturizer to quench your thirsty skin! Includes apricot, coconut and rosehip seed oils, aloe vera, rose hydrosol, beeswax and pure essential oils. No artificial preservatives, no parabens. A little goes a long way! In a box with tissue and fluff are three shortbread mixes to which you only need to add butter. Won't they be handy to have around the house over the holidays? 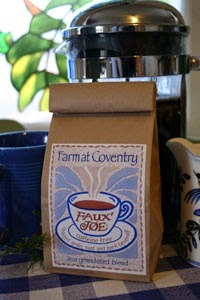 Faux' Joe (pronounced Fo-Jo) is a roasted grain, root and bark beverage & delicious, caffeine-free alternative to coffee! Not an instant, this granulated brew-able blend works well in a standard coffee maker, cappuccino machine or French press. The pre-ordering sale will continue until November 10. 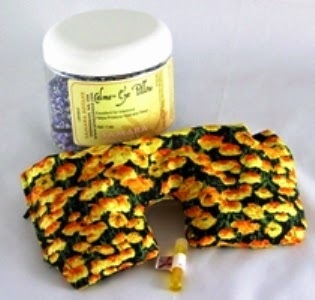 The CALMA™ Eye Pillow is therapeutically weighted to calm and soothe eyes, reduce headaches and promote rest and sleep. Filled with flax seed that is pre-infused with our Calma™ Essential Oil Synergy, it is aromatherapy at its best. Comes in a reusable container for storing your eye pillow when not in use to preserve the intensity of the aromatic synergy. It also comes with a refill vial of CALMA™ Essential Oil Synergy and directions to refresh and revive the scented flax seed. Each is made from sturdy, but soft 100% cotton, featuring a lovely flower pattern representing one of our state flowers, with a head strap to keep secure throughout the night. Details of the benefits of pre-ordering are on our website. Pre-Order Drawing - Magazine Subscriptions! Still making up for the weekend here. Today we're throwing in 3 subscriptions of The Essential Herbal. In the US, they will be print subscriptions. Outside the US, they'll be the PDF version. If you win and already subscribe, we'll just tack it on to the end. The book is truly jam-packed. I can scarcely believe we got all that information into 440 pages. But the source of all that wonderfulness is the magazine, so it seems fitting that we award a few subscriptions. Still not clear on the deal? I missed a couple postings over the weekend, and promised that I'd make up for it, so today I have TEN of this item to award during the Nov 10 drawing. 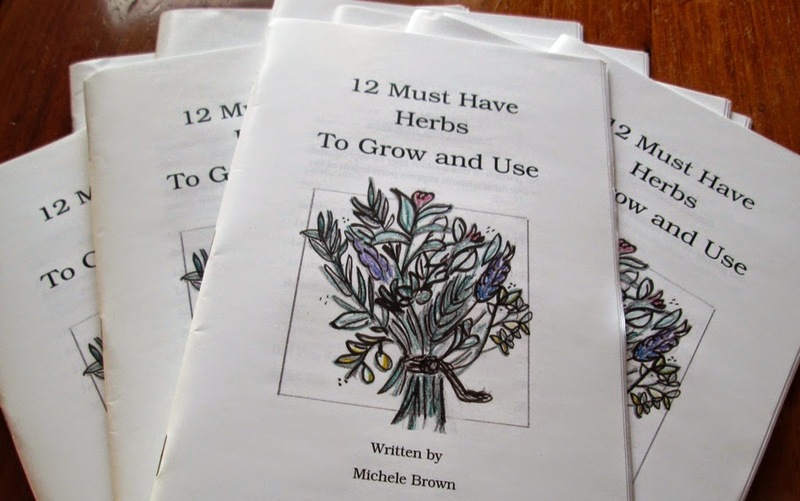 "12 Must Have Herbs to Grow and Use" by Michele Brown of Possum Creek Herb Farm is a great little book (with beautiful color illustrations throughout) that is full of tips for the herb gardener. 10 people will find this book next to their copy of "Through the Seasons" when it arrives in the mail. Believe it or not, we're still putting the finishing touches on the "Through the Seeasons" book. Our printer is tapping his foot, I'm certain. Thank goodness, we have one of the best! They rescue us from ourselves on a regular basis. It's been so amazing to work on this. The hundreds of recipes, hundreds of medicinal remedies, over 50 plant profiles, tons of gardening information, bath & body care concoctions (with a strong accent on soap), crafting instructions, and a wonderfully stuffed chapter of herbalists talking about being herbalists - well honestly, I'd forgotten many of them and so many of them were like new to me! Recipe is one of the hundreds of recipes, medicine, and crafts to be found in "Through the Seasons"
Preheat oven to 350°F. Grease an 8 x 8 cooking pan. Mix the wet ingredients together well, and then combine dry ingredients into that mixture. Spread into the prepared pan and bake for 30-40 minutes, until top is firm and a toothpick comes out clean in the center. Serve with milk if desired. 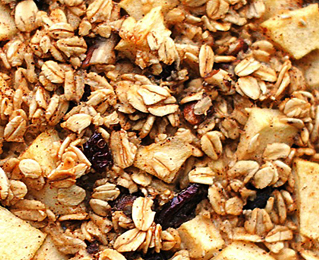 So many different additions can go into this breakfast mixture. All kinds of fruits, nuts, spices, things like shredded carrots, chocolate, seeds - only your imagination holds you back. Our November 10th drawing is going to be a lot of fun! This crème will leave your hands feeling like butter! Our organically grown rose petals and calendula are infused into oil and whipped with mango butter for the ultimate skin softening and calming effects. A hint of patchouli, along with the roses, provides a heavenly scent. And why do you want to pre-order the book by Nov 10? Who wouldn't want to get 5 years of a magazine for the price of 2 years? Especially if it was culled through and all repetition removed, put into great chapters, and thoroughly indexed? 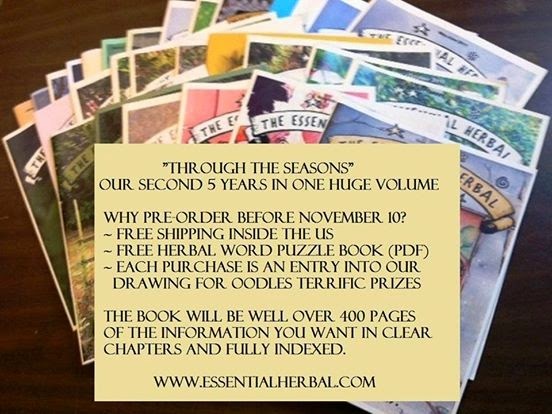 And *then* you could pre-order it until Nov 10 and get free shipping (US), a free herb puzzle book, and entry into a huge drawing for great prizes? Who indeed! A beautiful way to share the spirit of Christmas, perfect for children, teachers, and special friends. 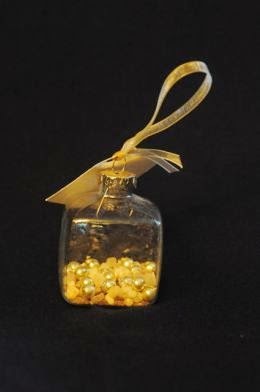 A crystal-clear cube with a gold ribbon hanger holds my unique potpourri blend of gold, frankincense, and myrrh, the first Christmas gifts. Visit EssentialHerbal.com to orrder your copy of "Through the Seasons" today and be in the running for all the prizes we're showing all month long! Today we've got a preview of the prize from Colorado Aromatics, and after you've taken a good look, scroll down to see the cover of "Through the Seasons!" Description: Chances are you neglect your feet and they could use a little attention and pampering. 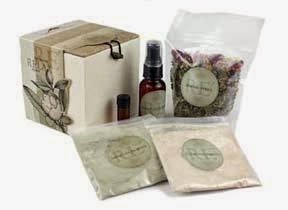 Our Foot Spa Set includes an herbal foot soak for relaxing, anesthetic and antiseptic properties. This is followed by a sugar scrub to help remove calluses and rough spots on the feet. Then use our Sole Pleasures Foot Butter for long lasting softening and moisture. Packaging may vary from an eco friendly box, a vinyl zip bag or an organza bag. Today we're previewing another one-of-a-kind, only-get-it-here prize. A trio of molded goddess soaps. When I help my sister make soap for her biz, I sometimes put the leftover soap from a batch into a mold. Sometimes it's several different kinds of soap. We use them in our family homes or for personal gifts. We have many interesting molds that we've collected over the last 20+ years of soaping. So one lucky person will win this set shown above. Good luck! What is this all about? See below. Another new issue is headed out to subscribers (pdf's go out on the 20th), and it's a beauty! 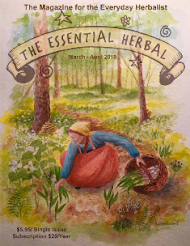 Original thought and ideas in herbalism. 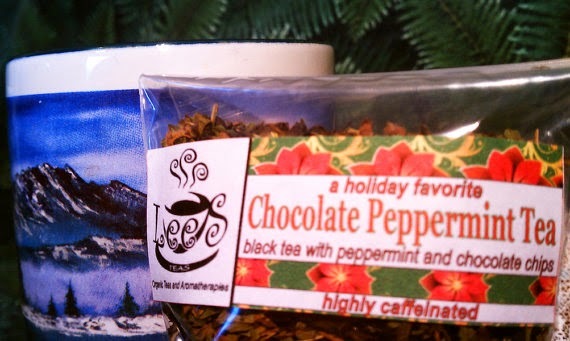 A selection of delectables for the holidays. Sometimes things don’t work out the way the books say they will. A complete explanation of what has been happening and the recipe. 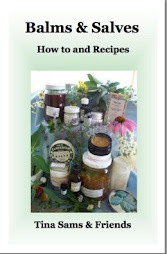 Good info for staying healthy, and a recipe for elderberry syrup. Instructions for making an herbal gift, and the lore that goes with it. Rest by the fire with these starters, soup, and bread. How does that blood get around? How can you help? Root medicine isn’t so scary. How to start a group. Herbal Steam - Open pores with skin nourishing plant oils. Cleansing Grains - Gently exfoliate dead skin and clear pores. Green Clay Mask - Absorb toxins, stimulate circulation, and deep clean pores. 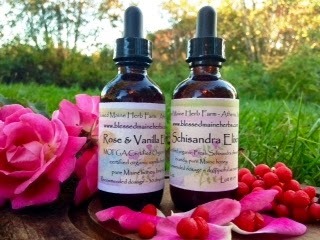 Wild Rose Facial Oil - Moisturize, protect, and balance your skin. Just in case you can't wait and need it right now, you can order it HERE. Not sure what this is all about? Want to order the book? Today I get to preview one of the prizes I'll be offering for the November 10th drawing, where all those purchasing a copy of "Through the Seasons" are in the running for every prize we're showing all month long. I didn't know I had these, but found a very small stack underneath the old typewriter. So, there will be 5 winners of our first ever issue. It isn't pretty, but it IS rare. Only 200 were printed. For the first couple of years, there were only 16 pages. For the first issue (and only the first issue) there were three of us rolling out the magazine. I was the only one really interested in continuing, and that was that. As they say, "we've come a long way, baby!" 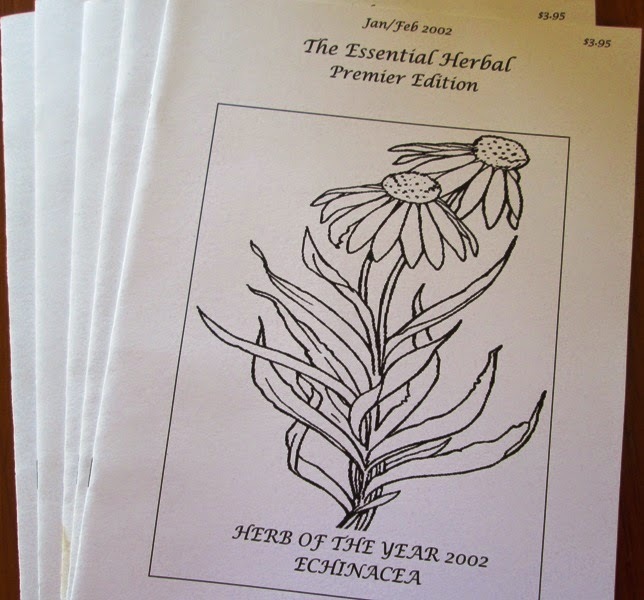 Visit www.essentialherbal.com today and get your copy! 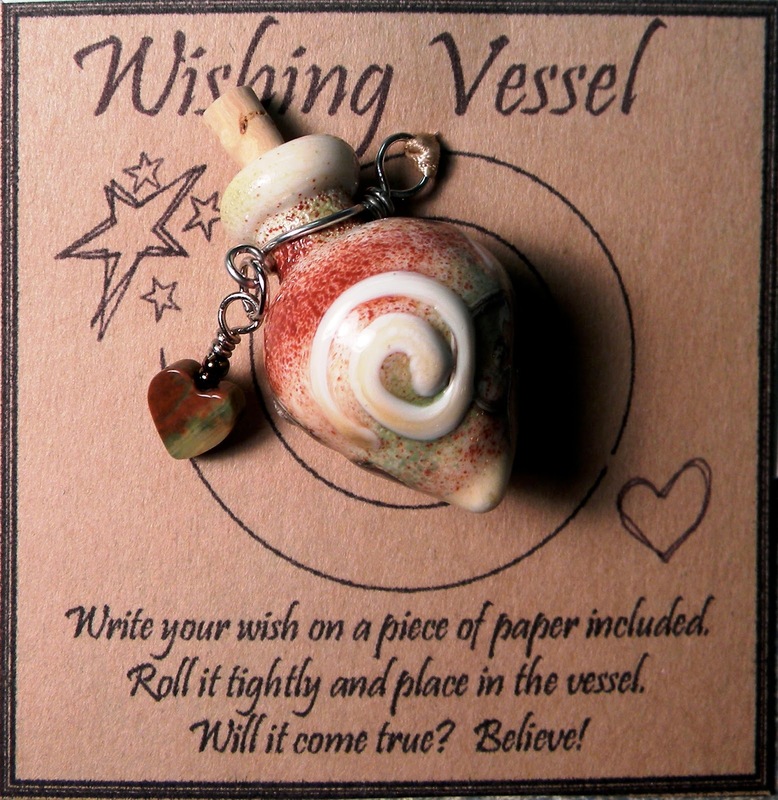 One winner will receive a wishing vessel. Torchsong Studio is my sister - the one with the wholesale soap business who also does lay-out for the magazines and books around here? Yeah, that one. In her spare time she fires up a torch and melts glass into beautiful works of art. To read more about the vessel, visit her blog entry here or visit her website here to see more of her work. order your copy today, and get in the running for all the great prizes we've been, and will continue to show for the full month of October! One ounce of Nettlejuice Herbals' delicious and winter-welcome Gypsy Plus Elixir. 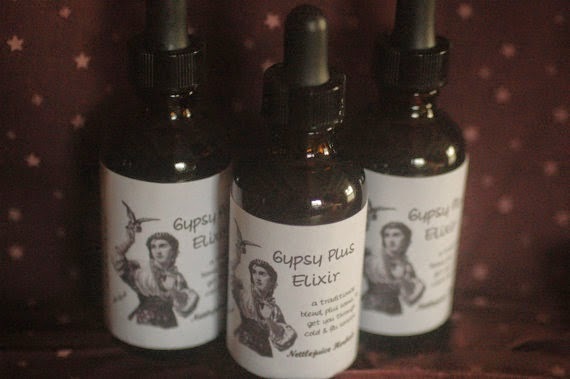 This elixir is based on the age old gypsy cold and flu remedy. This formula takes the ancient combination of yarrow, elderflower and spearmint, and adds in other cold and flu herbs to make a yummy and powerful combination which can be used for supporting the body's ability to recover from colds and flu. Made with elderberry, elderflower, yarrow, spearmint, monarda, mountain mint, catnip, raw honey, and brandy. Each Through the Seasons book purchased is an entry. Over five years in the making, "Through the Seasons" gives you a full 5 years (2008 through 2012) of The Essential Herbal magazine carefully crafted into meaningful chapters and painstakingly indexed for the price of just 2 years. Over 400 pages filled with information, remedies, and recipes that you can put into use immediately. From novice to seasoned herbalist, you'll find a fascinating melange of writings from a wide variety of writers. 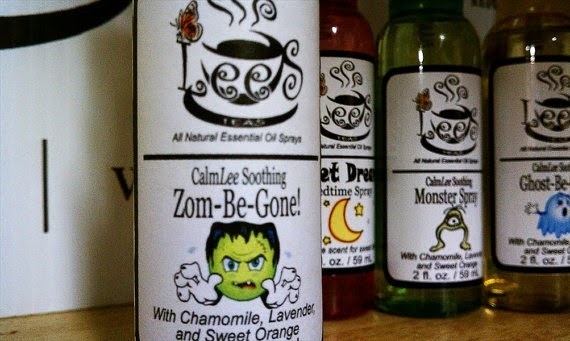 Just in time for zombie season, Zom-Be-Gone spray made with chamomile, lavender, and sweet orange essential oils. 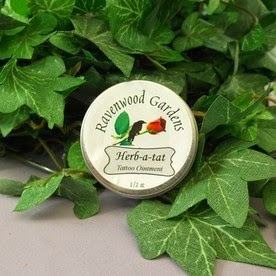 Meticulously crafted salves, the winner of this prize will choose one from any of the following 1 oz salves: 1st Aid/ Plantain for bites, scrapes, cuts and for those that frequently wash their hands. 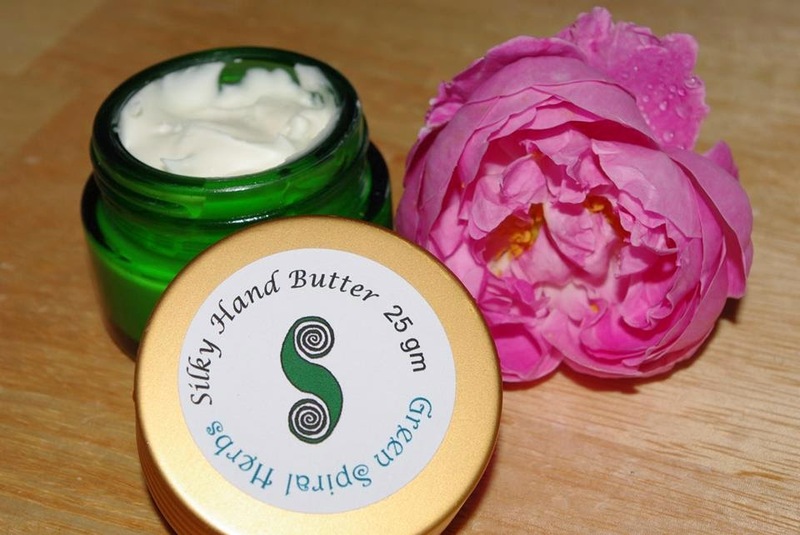 Dry/ Itchy Skin salve which may help the symptoms of eczema or psoriasis. 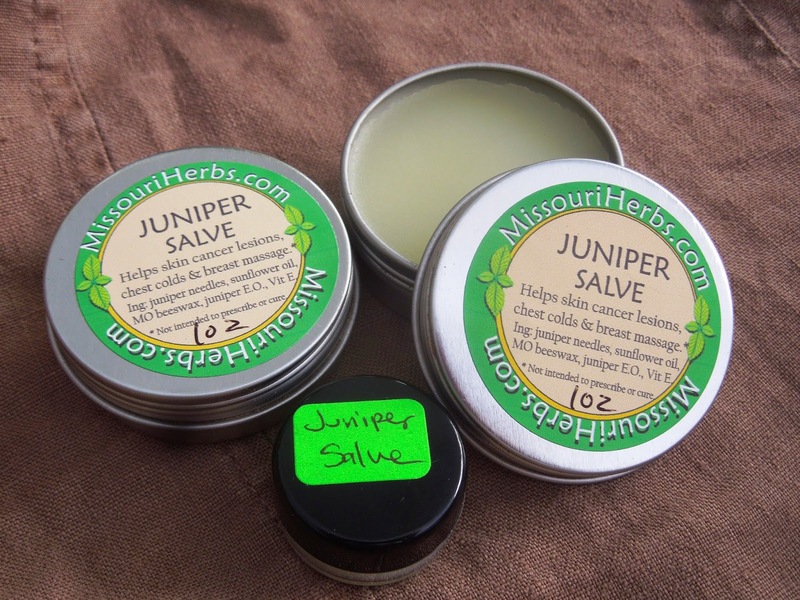 Juniper salve for routine breast massage and has helped skin lesions. I know there are a lot of people who follow recipes, and I also know that I sometimes drive them crazy. This is about to be one of those times. It started out innocently enough. I needed to drop something off at my sister's house, and as I walked out past her herb garden, the sage plant caught my eye. It is gorgeous (especially compared to my wee little first year plant) and I just had to pick some of it. "Sage honey," I thought. By the time I got home 5 minutes later, lemons were in play as well as some echinacea roots that I dug last week. Honestly, the honey may not extract anything from the roots, but there are so many that it seemed like something to try. I put the items together, took a picture, and posted it to the facebook page. Because of that, someone asked about adding ginger. That's a great idea, except I have a full jar of ginger honey. But ... maybe I'll go get some thyme in the garden! This might be a good time to mention that while I was out there picking the Elfin thyme that has spread like a carpet under the vitex bush, some tiny animal (vole, mouse, chipmunk?) living under the nearby yucca was positively livid at my intrusion, and eventually he drove me off. As I passed the rosemary waving in the breeze, a few sprigs were pinched off and added to the mix. 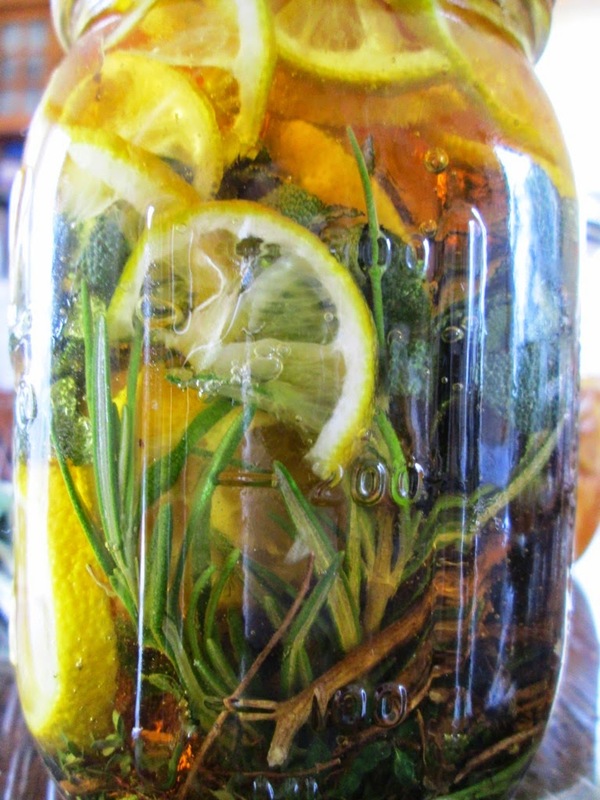 Once inside, the thyme went into the bottom of the jar, some echinacea roots went on top, rosemary along the side. 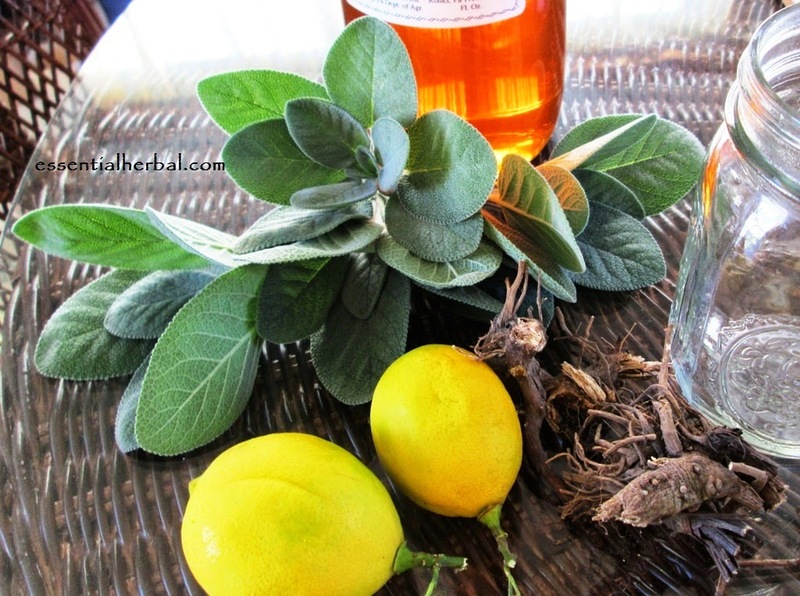 Sage chopped and filled the bulk of the space, with sliced lemons on the sides and top. The lemons work nicely to hold the herbs under the surface, by the way. Then the thrill of pouring from a full quart jar of honey into a pint jar that is full of herbs. That was touch and go, there for a while, but I grabbed a knife and helped it work down through the plant matter. So there it is. The recipe. To me, this is the best part about working with herbs at home. Measurements like, "fill a jar," "a handful," or "a bunch," really work just fine, for the most part. That's right up my alley. Now, I'd better label that jar while I still remember what's in it. It will sit (probably in the refrigerator) for a month or so, until we need it to add to a tea for a cold or sore throat. We *might* heat it a little and strain it, or we might just leave everything in there and spoon out the honey around the herbs. We'll decide when the time comes. 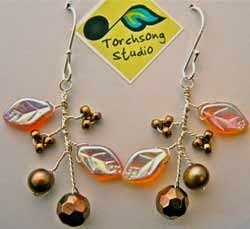 These golden-hued peach leaves were a perfect match paired with the bronze beads that make up the blossoms that grow with them. Sterling silver ear wires. Please share with your herb friends! 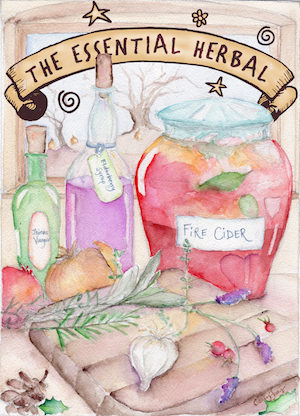 For today's showcase, one of Blessed Maine Herbs' award winning elixirs! Today's prize is a little confusing. 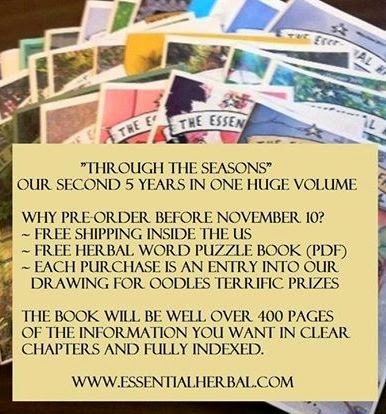 Our 5 year compilation will be out in November (and the cover won't be ready to show until mid-October), and one lucky purchaser of "Through the Seasons" will be winning "Healing Herbs" which will be released in March. I know it's a little hard to follow, but the second book is a prize in the drawing to promote the first book! 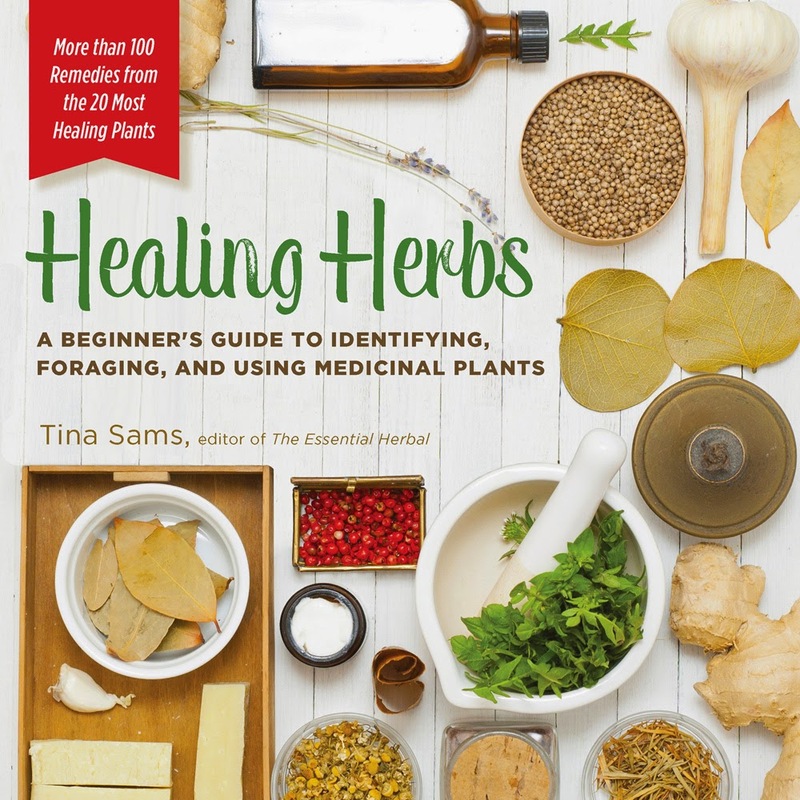 I wrote this book about 20 of my favorite and most easily available herbs that most of us can easily find either in the yard, on a walk, or in the grocery store. 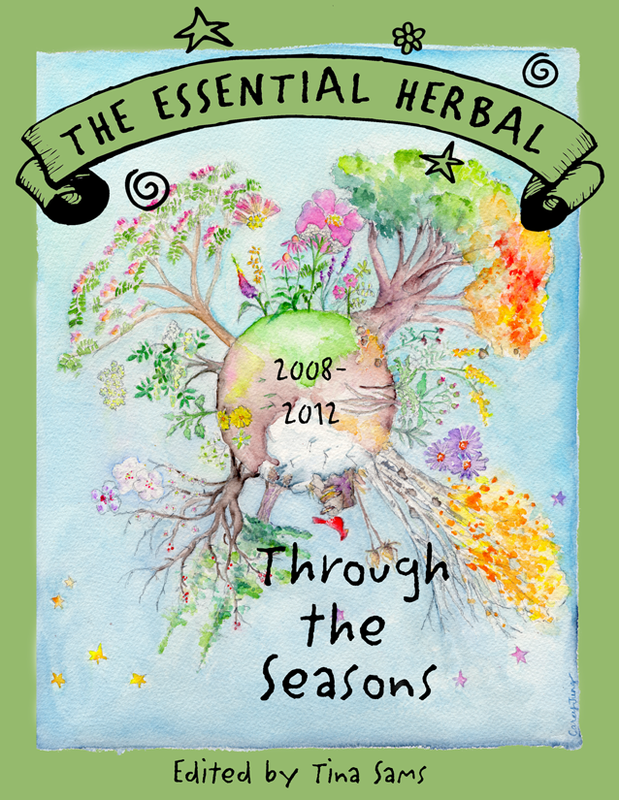 Over five years in the making, "Through the Seasons" gives you a full 5 years (2008 through 2012) of The Essential Herbal magazine carefully crafted into meaningful chapters and painstakingly indexed for the price of just 2 years. Well over 400 pages filled with information, remedies, and recipes that you can put into use immediately. 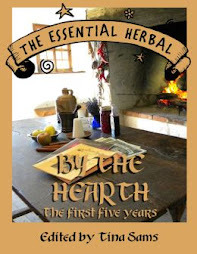 From novice to seasoned herbalist, you'll find a fascinating melange of writings from a wide variety of writers. We're having a pre-sale until November 10th. During this time, we're offering free shipping (US only), a discount on the pdf version, a free herbal word puzzle book to be downloaded, AND each book purchased is also an entry into a drawing for wonderful prizes that we'll be individually showcasing daily through the month of October, for one BIG drawing on November 10. Books will ship before November 15. Order yours today! Visit our site to order. Carefully chosen child-safe essential oils blended to help make falling asleep easier. You can pick up a bottle without entering the contest by visiting her etsy shop. Here's the LINK. 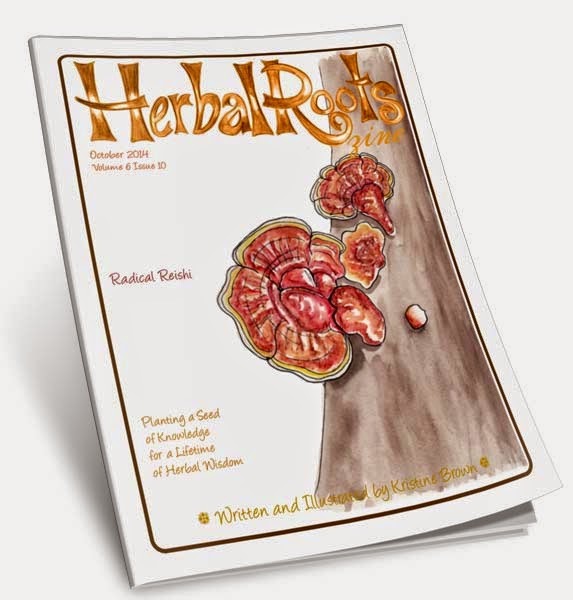 Today's prize preview is a one year subscription to Herbal Roots Zine!!! If you just can't take a chance and want it now, visit www.herbalrootszine.com to sign up..
A USB aromatherapy diffuser so that you can enjoy the benefits of essential oils while you work, wherever there's a port. - Great for people that work on laptops at offices, allergy sufferers, people travelling or any one that would like to cleanse the air around them while near a USB port. This diffuser works by Ultrasonic diffusion to keep all of the essential oils properties. 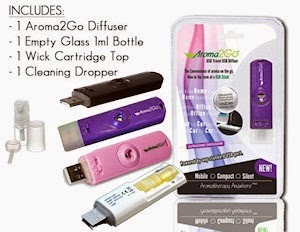 Does not create a steady stream of mist like most regular diffusers but 13-60 second bursts of diffused essential oil. You won't have to worry about your neighbor sitting next to you complaining about the mist in his or her face. Rich, raw cacao fused with vitalizing herbs & spiked with spice brings delicious excitement to your cuppa. 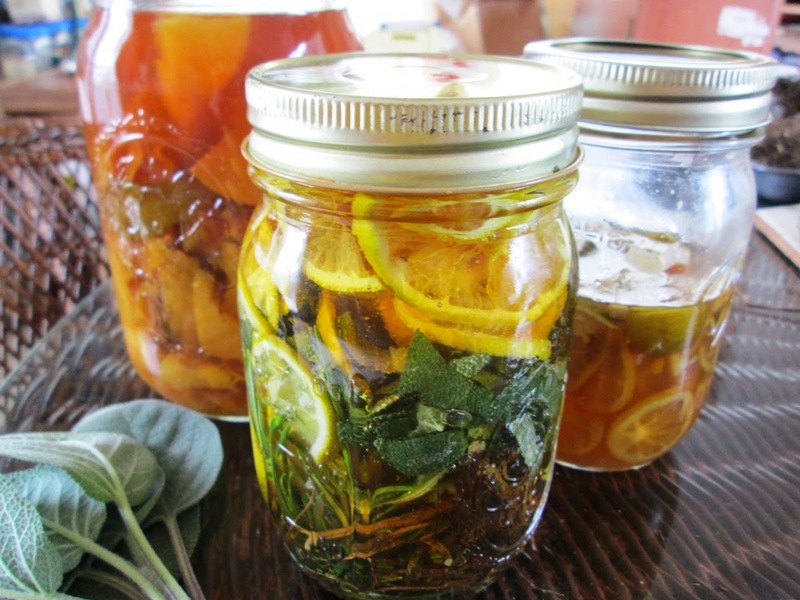 Jessica hand-blends her delicious fusions of Mother Earth’s herbal goodness into unique, wholesome, natural brews. Enjoy life–try them all! DIRECTIONS: Stir a tsp. into a mug of gently warmed milk of choice. Enjoy a splash of honey or sweetener for extra yumminess! This product has not been evaluated by the FDA. If you are pregnant, nursing or on medication check with your health advisor prior to use. 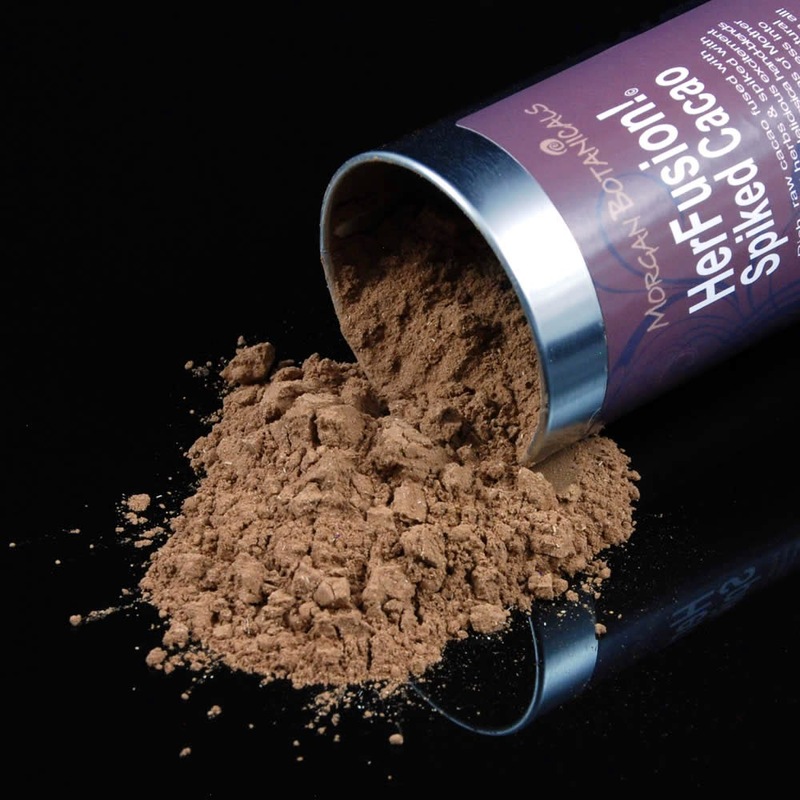 ALL-NATURAL INGREDIENTS: Handmade with Raw Cacao, Marshmallow Root, Astragalus Root, Eleuthro, Hawthorn Berry, Vanilla Bean, Cardamom, Cinnamon & Cayenne. Can't wait for the drawing, and need it right now?